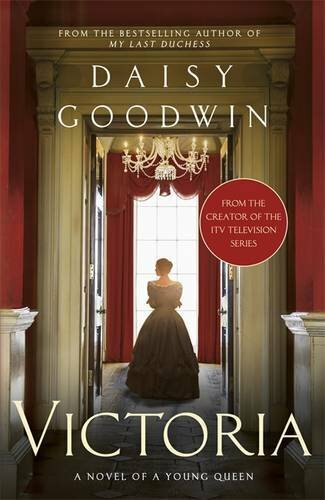 Victoria: A Novel of a Young Queen by Daisy Goodwin is the companion novel to the new Victoria TV series (already out in the UK, out in the US in Jan). Daisy Goodwin also wrote the TV series, but I believe the first season extends a bit farther than the novel does. Victoria takes place just as 18-year-old “Drina” is made queen and must navigate newfound leadership and independence with PM Lord Melbourne at her side. The young Victoria (also a great Emily Blunt movie by the way…) is not always likable. In fact, she is often quite annoying and frivolous as any teenager would be. She treats her mother coldly, throws tantrums, and is generally self-centered without a real care about the well-being of her people (there is a glimmer of compassion later). It was interesting to read this novel right after watching The Crown, because I found a lot of parallels between a young Victoria taking the throne and being guided by Lord M and a young Elizabeth II taking the throne and being (somewhat) guided by Churchill. Goodwin crafts a would-be love story between the young queen and the middle-aged Lord M, when in reality their relationship was nothing more than mentor/mente or father/daughter. But, of course, it’s easy to image a romance with Lord M when he’s played by the dashing and talented Rufus Sewell…which was my mental image throughout since this book is so closely tied with the TV series. What readers may be surprised to find is that Albert does not come into the narrative until about 80% into the book, which makes for a sweet but seemingly rushed love story. Goodwin’s Albert and Victoria continually get off on the wrong foot, their exchanges ranging from heated to awkward with only a brush of tenderness, but we never really get enough interaction between them to fully believe Victoria’s proposal. Victoria is headstrong and stubborn, yet with everyone telling her to marry Albert I don’t find it fully believable, within Goodwin’s narrative, that she would take one or two tender moments as good enough reason to propose. And although there is a physical attraction, Albert is too awkward and stiff for the reader to ever really get inside his head. Which brings me to my next point: head jumping. This novel is not exactly close third person, but rather third person hopping from one characters’ head to another within the same chapter, even within the same paragraph, which left me feeling a bit disoriented as to whose perspective I was supposed to be following. I’m generally not a fan of this style not only due to the whiplash, but also because of the restriction when wanting to explore a character’s deeper thoughts and emotions. I feel a close third person, or even a first person perspective, may have worked better here. Nevertheless, I certainly look forward to watching the TV series, as well as a possible follow up or two or three from Goodwin chronicling Victoria’s reign.